In Early Events (1996-2000), Liliane Lijn brings to Summerhall’s 2017 Festival five narrative sculptures, exhibited together for the first time in the UK, that form part of a series in which the artist examines her psyche. Like shards of brilliant glass, Lijn discovers early memories embedded within different parts of her body. Resembling archaeological finds, the five narrative sculptures embody Freud’s “fragments of memories” and they seem to have previously been burried, bearing the metaphor for psychoanalysis’ act of excavating one’s repressed past. In a recent interview (2017) with the curator of the exhibition, Gabriella Daris, Lijn stated about Early Events: “I am not simply using fragments of my body as containers for memory. These fragments transform in my imagination to become parts of structures, buildings, landscapes, enclosures and caves. They hide and protect my past but because they are parts of my body, that past is seamlessly connected to my future.” Using highly original combinations of industrial materials and processes, Lijn is recognised for pioneering the interaction of art, science and technology with works that stretch across a wide spectrum of interests. 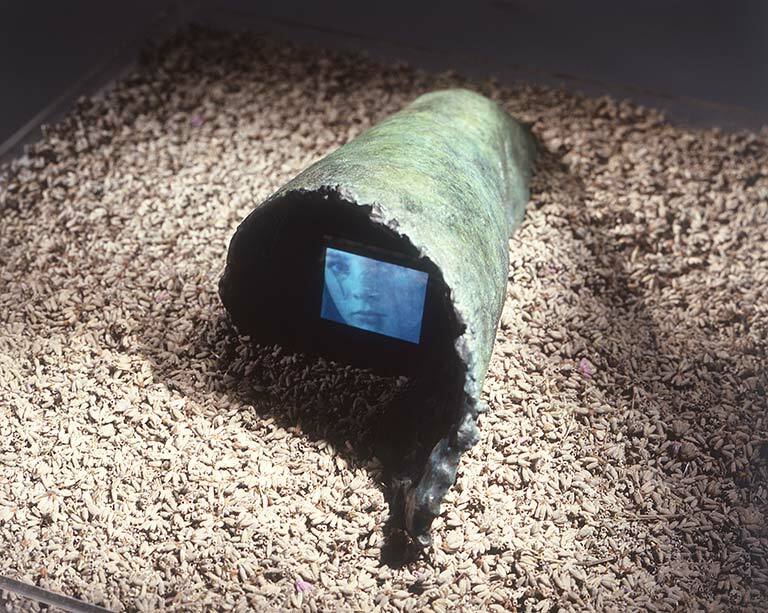 From her early Poem Machines (1962), kinetic word drums transforming written text into vibrations and influenced by her friendship with Beat poets Gregory Corso and William Burroughs, to Liquid Reflections (1967), works with light and water, and more recently, Stardust Ruins (2008), which use the immaterial aerogel. Her powerful feminist prose poem, Crossing Map, published by Thames and Hudson (1983) was followed by the series of interactive Cosmic Dramas. Liliane Lijn (1939) was born in New York, studied in Paris and lives in London. Internationally exhibited since the 1960’s, her works are held in numerous collections including Tate London, British Museum, V&A and FNAC in Paris. Lijn works across media – kinetic sculpture, film, text, performance and collage – to explore language, mythology and the relationship between light and matter. In 2005, Lijn was ACE NASA, Leonardo Network artist in residence at the Space Sciences Laboratory at UC, Berkeley. In 2013, she was shortlisted for the Fourth Plinth in Trafalgar Square. 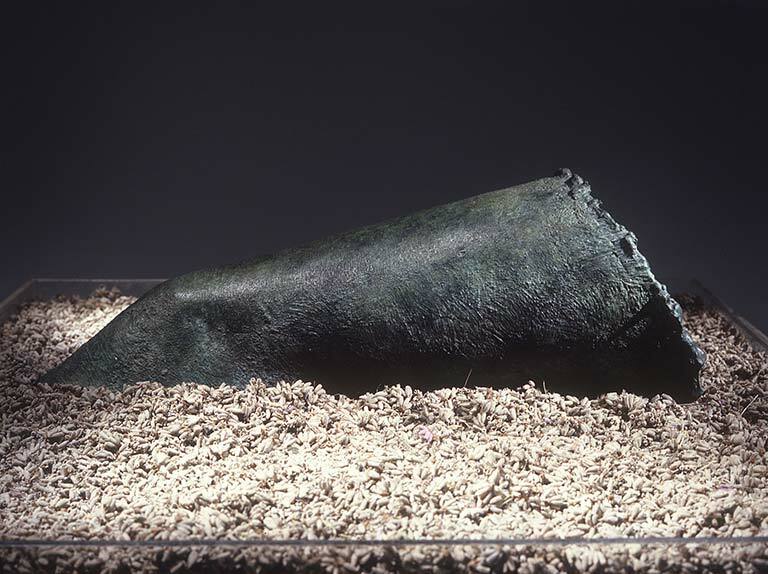 Recent exhibitions include Koans and Poems, a solo exhibition at One Canada Square, Canary Wharf (2017), As Above So Below, IMMA (2017), Beat Generation, Centre Pompidou (2016), City Sculpture Projects 1972, Henry Moore Institute (2016), RCM Galerie, Paris (2015), Images Moving Out Onto Space, Tate St Ives (2015), Ecstatic Alphabets/Heaps of Language, MOMA, New York (2012). The exhibition is accompanied by an illustrated catalogue with an essay by Gabriella Daris. In conjunction with the exhibition, Liliane Lijn’s film Look A Doll! My Mother’s Story (1994-9) will be screened at Summerhall’s Anatomy Lecture Theatre on Saturday 16 September, at 14:00, followed by a Panel Discussion between Liliane Lijn and Monica Bohm-Duchen, moderated by Gabriella Daris.